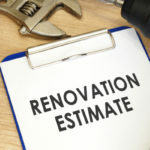 You’ve chosen the cabinets, the flooring, the countertops, maybe even the appliances, and now it is the time for the final touches to complement your kitchen remodel. Today, let’s explore backsplashes, faucets, sinks, and lighting. Backsplashes are a great way to add artful design to your kitchen remodel. 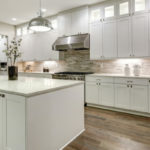 Stone, tile, glass, wood, and metal are the materials of today’s backsplashes. 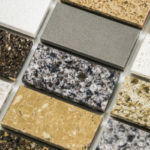 Today’s tile options offer color, texture, and style in ceramic, glass, metal, and stone. Even reproduction of tiles from days gone by are a popular style choice for backsplashes. Creativity and a splash of color can be yours when you choose to add an affordable backsplash to your kitchen. The only limitations on backsplash materials come in choosing materials which won’t be damaged by water, spatters, and spills. Faucets priced in the middle range of the market and designer faucets don’t vary a great deal in function, but more in designer artistry and flare. A midrange faucet will deliver service equal to a designer faucet, but won’t give you the stylish originality of design. Keep in mind, when making your faucet selection, if you want a premium designer faucet, the cost will be higher. Either way, you want to ensure functionality and durability. To do so, look for a ceramic disk valve, which offers the promise of years of reliable service in controlling the temperature and flow of the water. Many midrange and high end faucets deliver on longevity with lifetime guarantees. When choosing the finish for your faucet, heavy chrome is the best choice for good looks and simple maintenance over time. Brushed stainless also offers aesthetics as well as durability, while a faucet with PVD (physical vapor deposition) finish which are 20 times harder than heavy chrome. PVD finishes are easy to clean and come in premium looks like silver, copper, gold, bronze, brass, steel, and black. 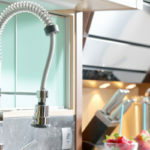 A kitchen sink is designed to last a lifetime, so you’ll want to choose one which suits your style and is also affordable. Sinks come in a variety of materials capable of holding water. Some popular sink options are stainless, copper, stone, wood, zinc, bamboo, solid surfacing materials, cast iron, and plastic (aka acrylic, polymer, or composite). Each option requires the proper care for longevity and durability, with plastic offering the lowest price and greatest opportunity for damage. Sinks also come in a number of styles which attach to your countertop in one of these ways: undermount, integrated, tile-in, and drop-in. An undermount, like the name states, mounts under a countertop made of stone, solid-surfacing, or laminate. Tile-in sinks are undermount sinks used with countertop tile. Integrated sinks are undermount sinks made of stainless or acrylic which are, as the name implies, integrated into a laminated, solid surface, engineered stone, stainless, copper, or zinc countertop. Drop-in sinks (aka overmount sinks) are the most common in the United States and as such offer greater style, color, and material choices. 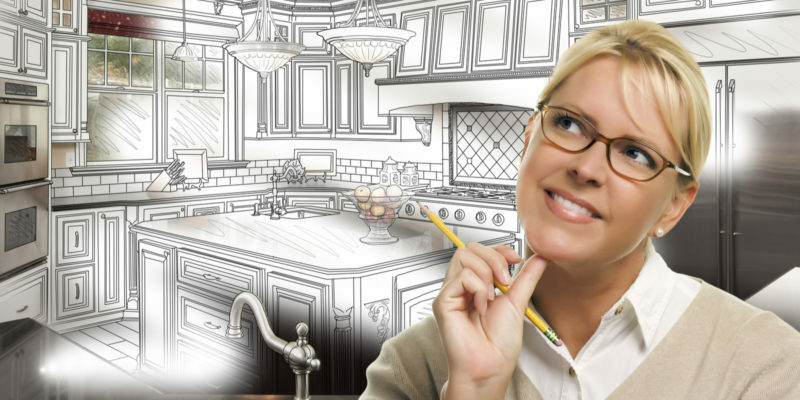 Overmount sinks are also the least expensive option when choosing a sink for your kitchen remodel. When making your lighting choices, consider energy efficiency and effectiveness as well as design. Providing more light for electricity used than nearly every other light, fluorescent lighting offers an affordable, energy efficient, and low maintenance choice. These bulbs last nearly five times longer than their counterparts. LED (light emitting diodes) light fixtures are costlier at the start but last 10 times longer than fluorescents and cost less to operate.